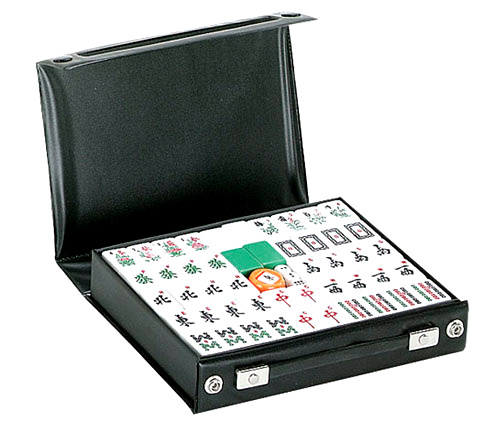 This is a Chinese Mah Jong set that features a durable black vinyl snap close case. The set includes all game accessories. Dimensions of this set are: 9" x 6 1/4" x 2" inches.